MEC (Setúbal, Portugal) on 9 December 2017 in Miscellaneous and Portfolio. 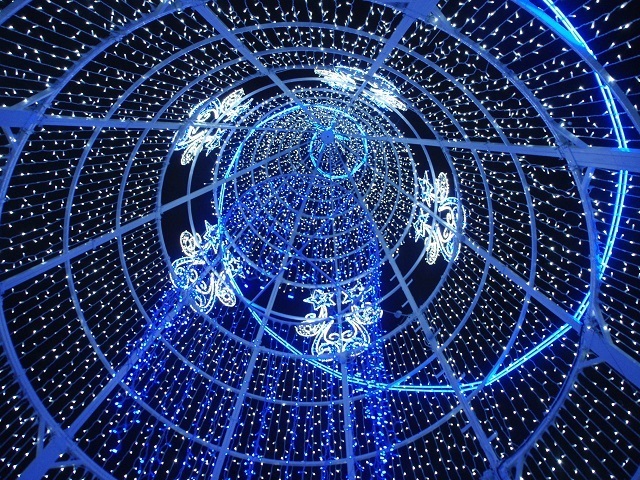 Interior da árvore de Natal da Cidade de Setúbal. such beautiful angle, frame, perspective & lights! Beautiful photo of the inside of the tree. wow...a fabulous image here !!!!! Un bel éclairage qui annonce les fêtes de fin d'année. Splendid capture of the blue Christmas tree.